Updated to cover Windows 8.1, Update 1, May 2014. Windows 8 was a revolutionary update of the popular operating system from Microsoft. With a brand new interface, new ways of getting around and accessing items and new possibilities for mobile devices, Windows 8 took the computing experience to the next level. However, there were still a few areas for improvement and these have been addressed with Window 8.1. 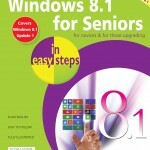 Windows 8.1 for Seniors in easy steps shows you how to get up to speed with this latest version of Windows and begins by detailing how to get to grips with the Windows 8.1 interface. It deals with the basics such as accessing items, personalizing your screen and using additional controls that are available from the sides of the screen. 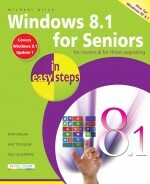 The books includes the new features that have been added since Windows 8: the return of the Start button; options for booting up to the Desktop; viewing up to four apps on screen at the same time; an enhanced SkyDrive feature for online storage and sharing; and a unified search facility that enables you to search over your computer and the Web. A lot of the functionality of Windows 8.1 is aimed at touchscreen devices, whether they are desktop computers, laptops or tablets. This is dealt with in terms of navigating around, as well as showing how everything can still be done with a traditional mouse and keyboard. Apps are at the heart of Windows 8.1 and the newly designed Windows Store has an app for almost everything you could want to do. The book shows how to access and download apps and then how to work with them, and organize them, when you have them. As well as the new features that are covered, all of the old favourites are looked at in detail, such as working with folders and files, accessing the Internet, using email, working with photos and video, networking with Windows and system security. 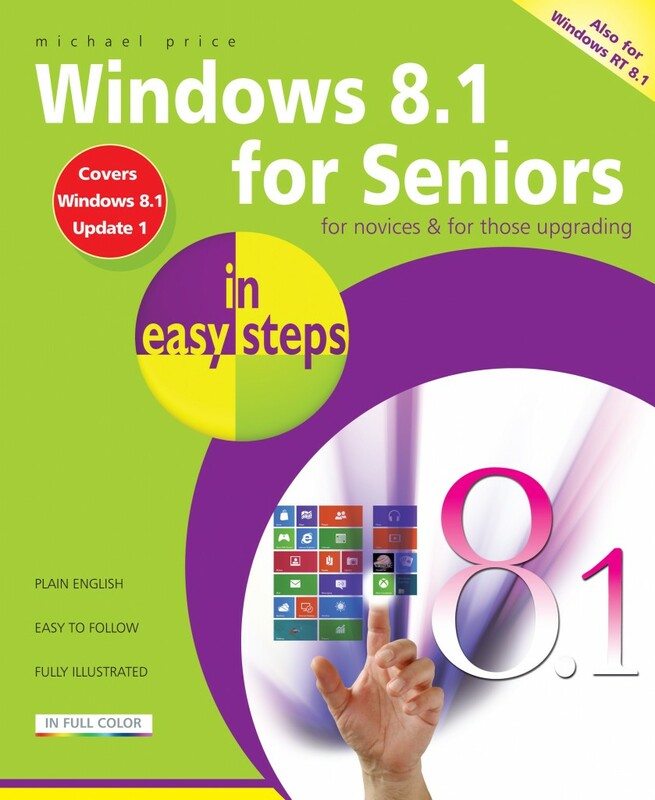 Windows 8.1 will open your eyes to a new way of computing and Windows 8.1 for Seniors in easy steps will help you see clearly so that you can quickly feel comfortable and confident with this exciting new operating system. It is presented with the Senior reader in mind, using larger type, in the familiar In Easy Steps style. Covers the 8.1 update released October 2013. The reprint of May 2014 covers Windows 8.1, Update 1.